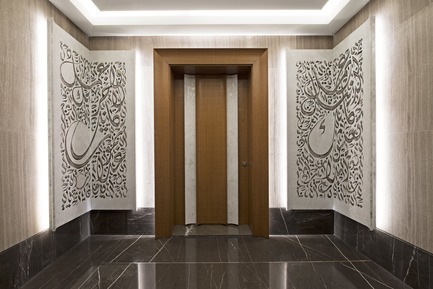 And these begin from the entrance that includes a private elevator area where guests and inhabitants are greeted by two stylized calligraphy panels by artist Ghaleb Hawila. 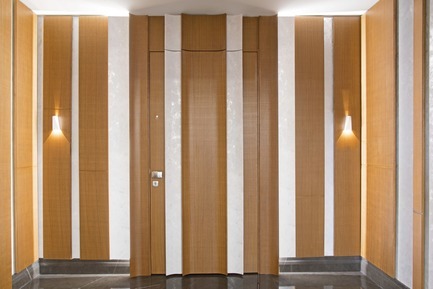 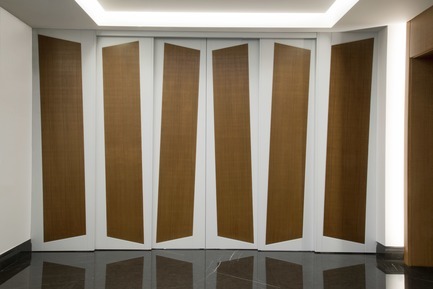 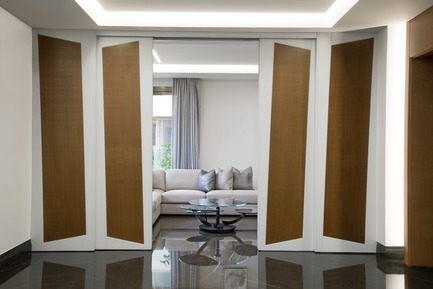 The black and white floating panels fitted with indirect lights create a welcoming effect as guests step towards the entrance doors, made of French oak croisé veneer integrated with silver leaf and white patina. 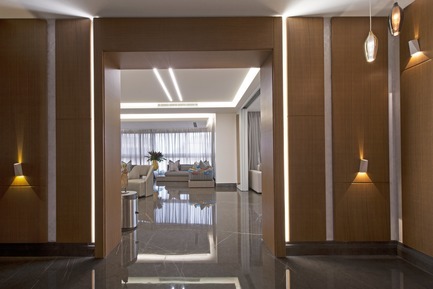 Modern elements of levelled lighting accentuate every corner of the space creating a warm welcoming feeling that every entrance should have. 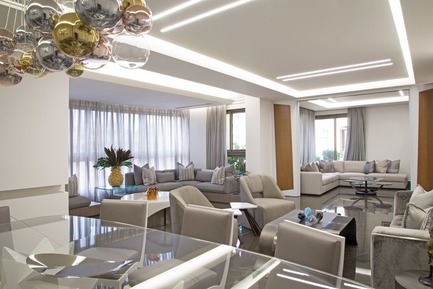 The living area is a big open space, where all wall separations have been removed giving a sense of wideness and grandeur. 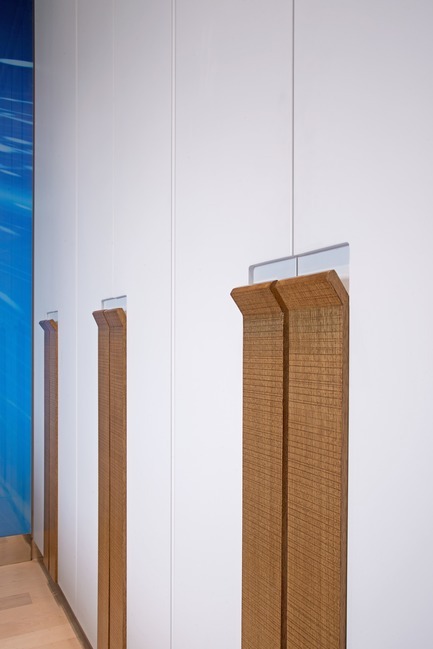 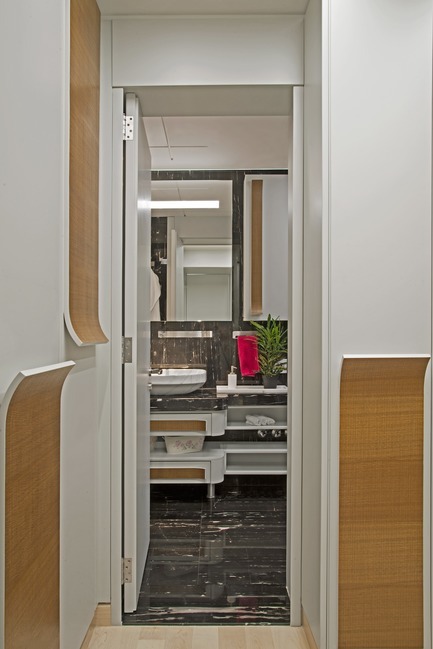 However, to ensure privacy, electric mobile wood panels can close in on the family room for more intimate gatherings. 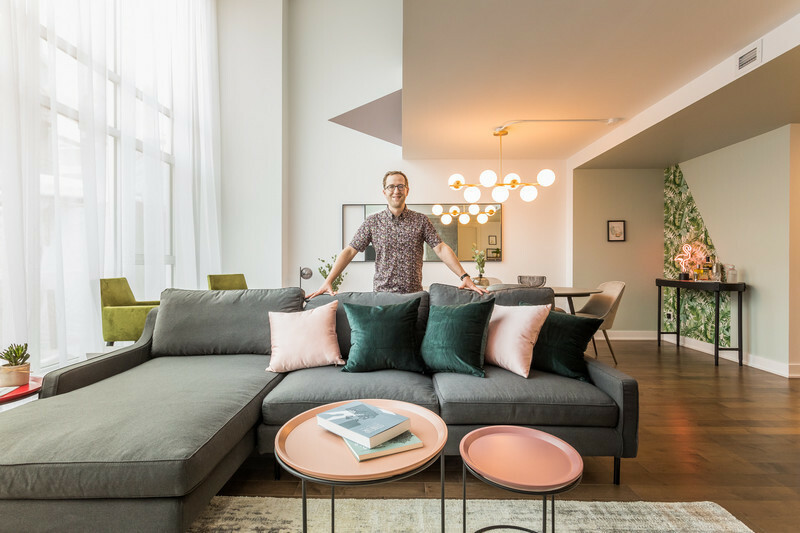 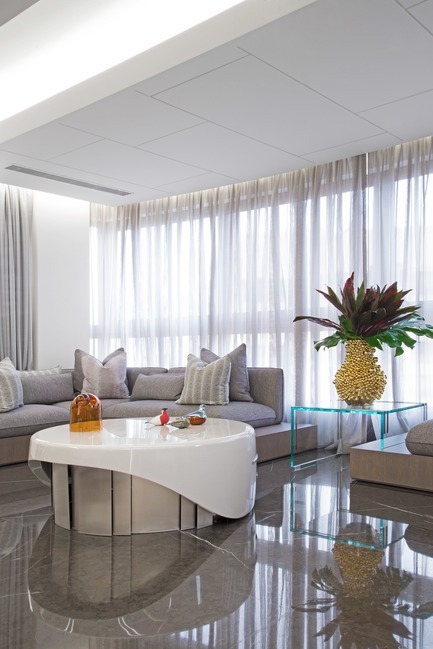 The whole living space is fitted with custom made furniture crafted by seasoned local artisans using top of line fabrics from Romo, Pierre Frey, Mark Alexander, Dedar and Sahco Hesslein. 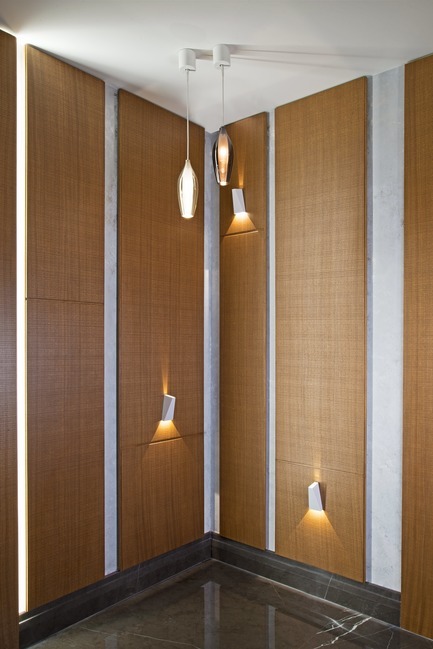 The various shades of grey reflect the brightness of the natural lights as well as the indirect interior lights. 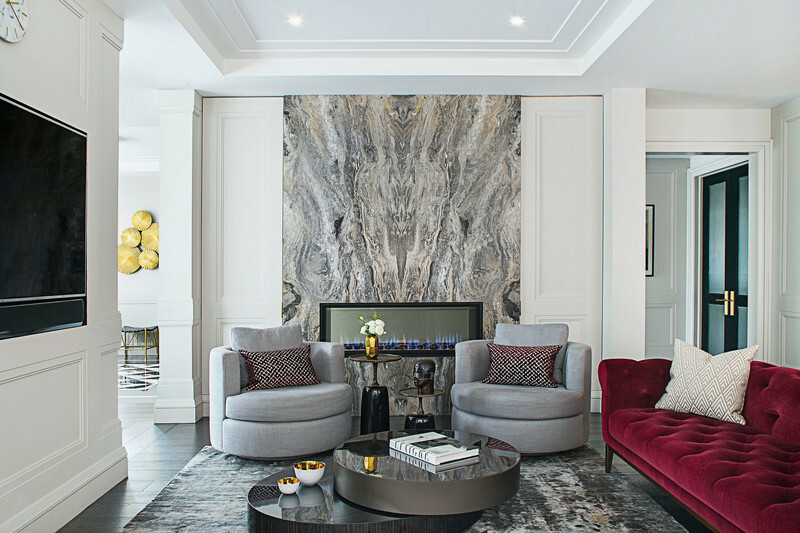 The dining room boasts Paperweight, a sculptural Formitable©, from the studio’s custom-made line of limited edition tables. 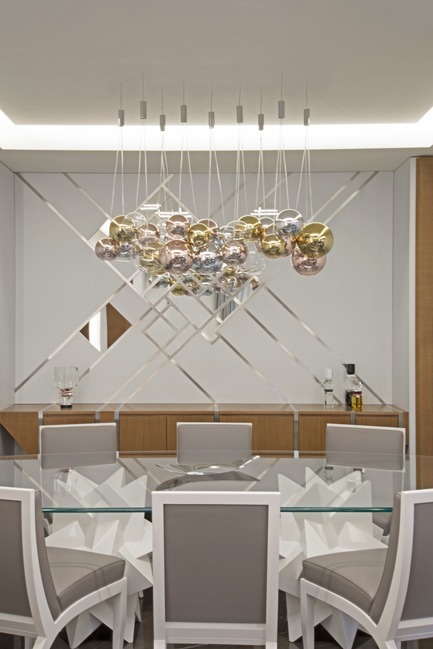 Complementing the dining table, is Ascension, a display and storage cabinet, also from the Formitable© line. 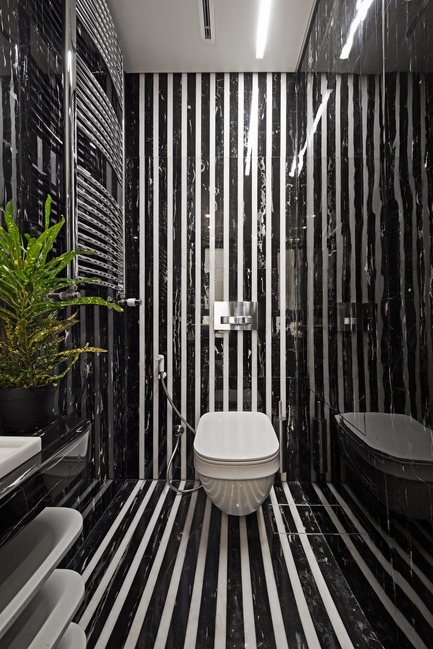 The wall behind it is decorated with stainless steel stripes that, when combined with lighting, creating a unique effect. 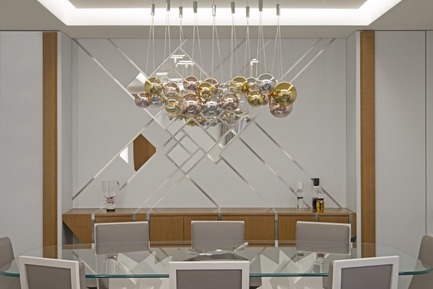 The glow moves from the wall to the modern chandelier by Studio Italia that shines in gold, silver and brass colors. 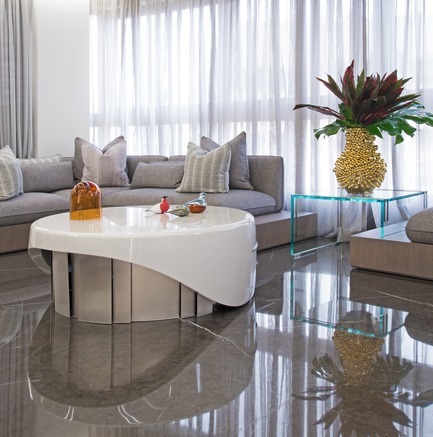 Formitable© elements are not limited to the dining room, as Icing, a center table and Quadruple, a set of two center tables and two sides tables are spread in the living area as gathering points for happy exchanges among friends and family. 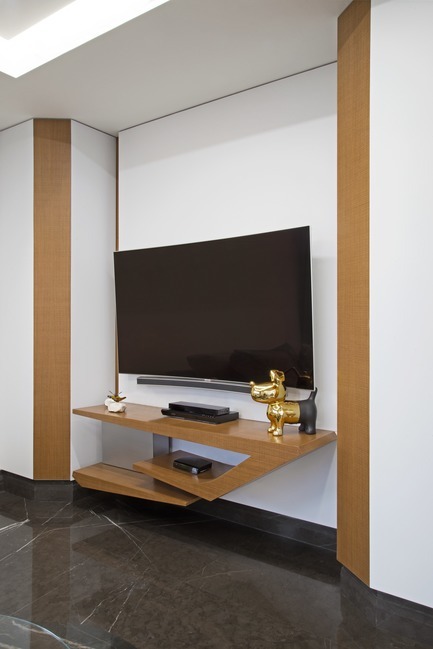 The family room is equipped with a big TV unit, also custom made featuring a clear and clean lines design. 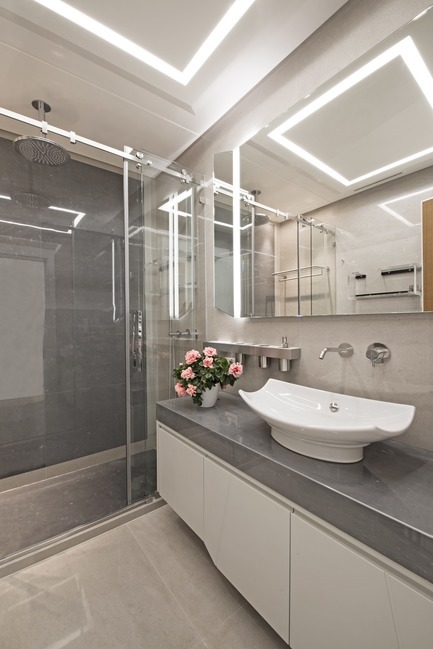 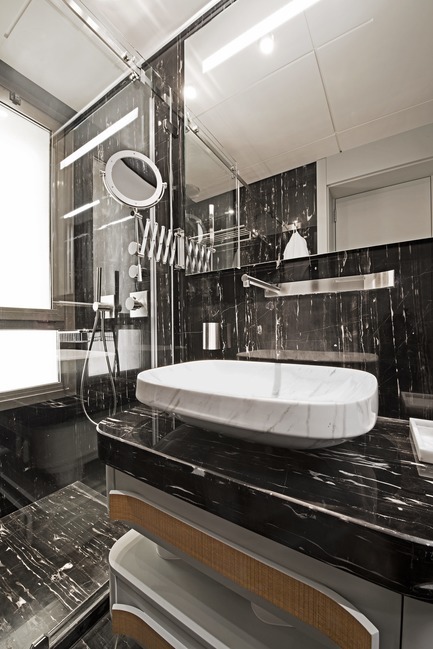 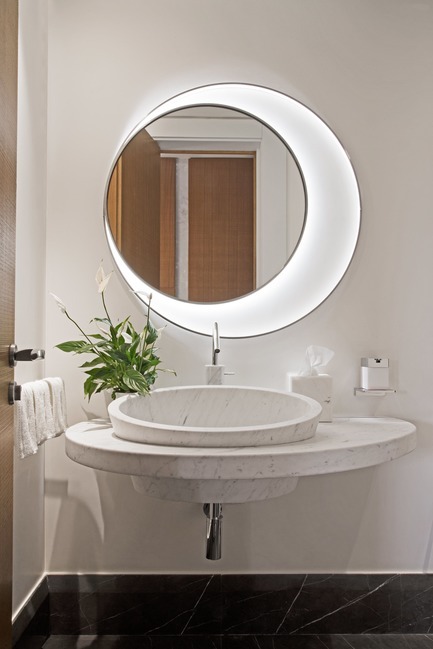 The bright feel follows the guest to the restroom that was all made of Carrara white marble, including the accessories such as the special mirror that was made especially for the space. 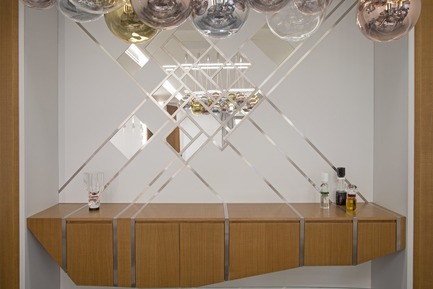 Moving on to the kitchen, heart of the home, where white and wood remain kings, faithful to the space’s general theme. 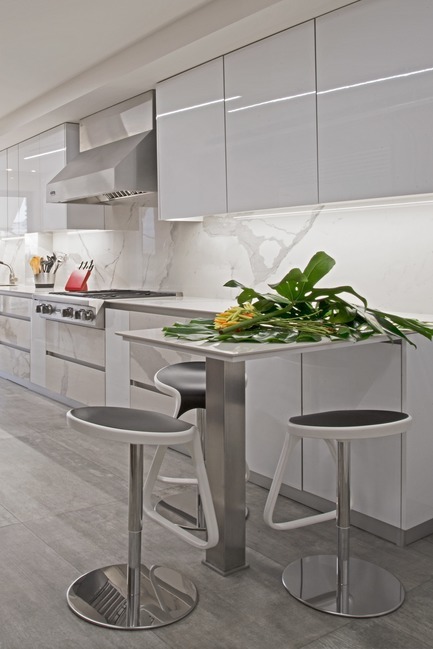 The walls are made of Cava Bianco Staturio Venato marble wood glass, while the cabinets are executed with white wood glass, creating a clean and clear space for cooking and daily family meals. 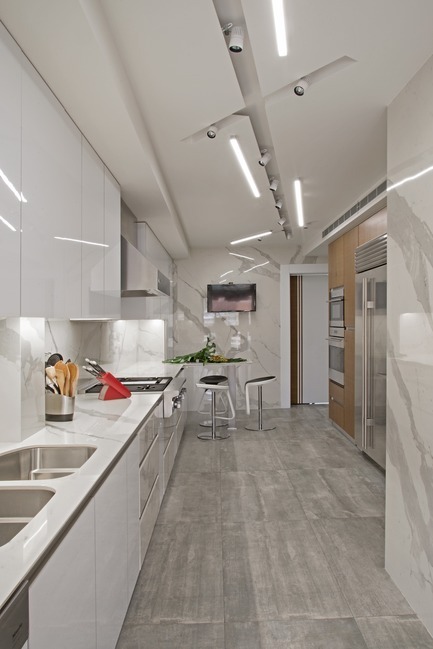 The countertop is made of engineered marble that can take the challenge of any knife or lemon slice. 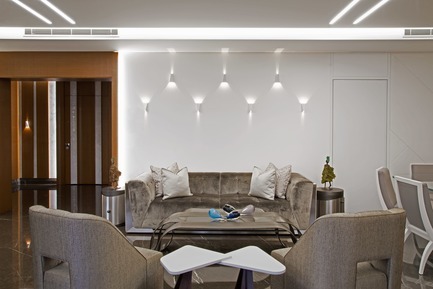 The whole space is lit with a high-end lighting system of led profiles. 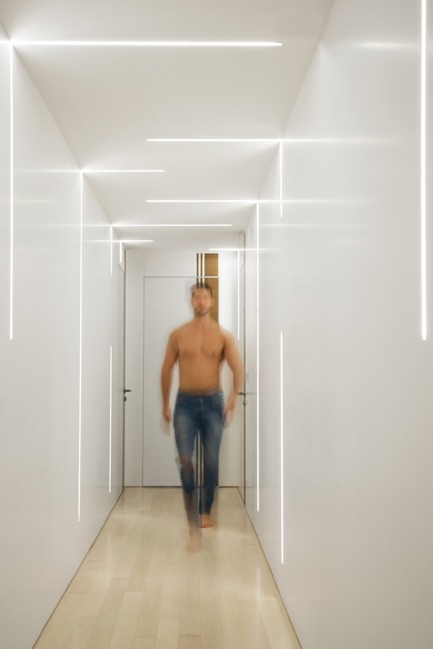 The hallway leading to the more intimate space that are the bedrooms reveals doors that disappear seemingly into the wall, blending perfectly with their surroundings. 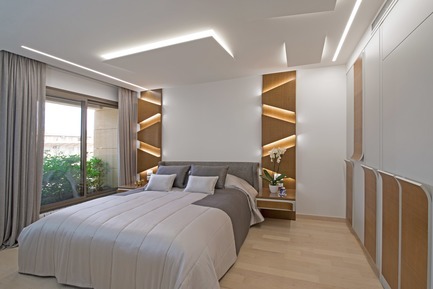 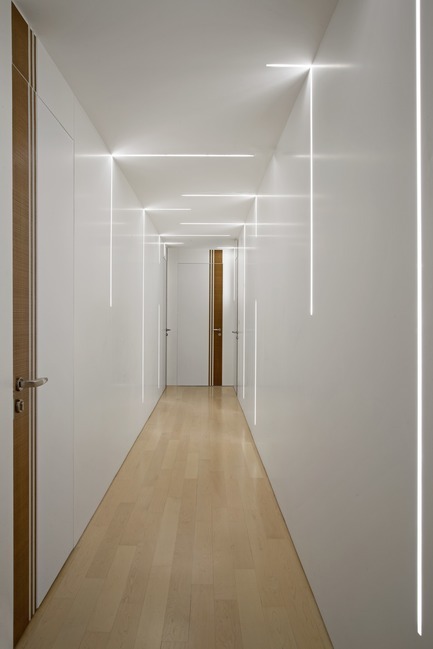 Stripes of led lights from the wall intersect with stripes in the ceiling for a luminous effect and function. 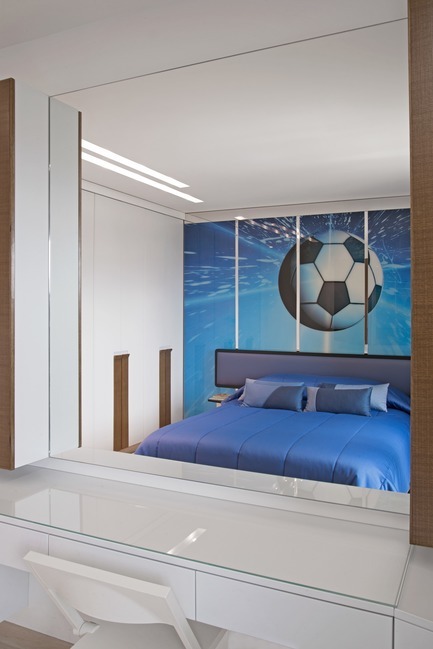 The master bedroom was also created with unique design details in the bed and its matching cupboard. 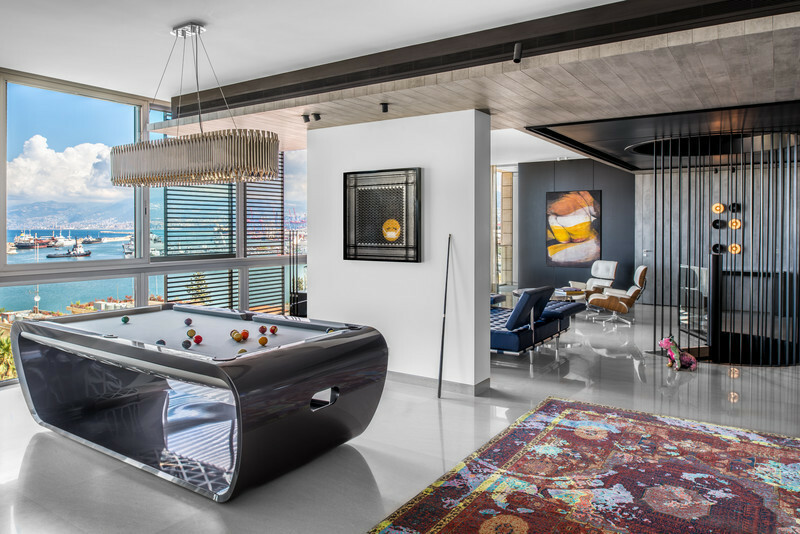 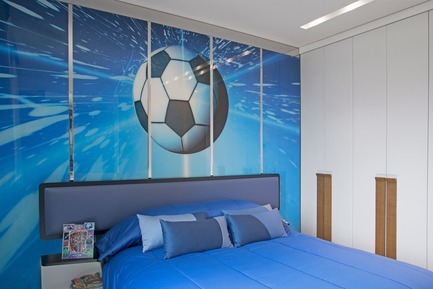 The boy’s room, a football fan, was fitted with a glass and stainless steel painted wall featuring nothing else then… a football on the fly. 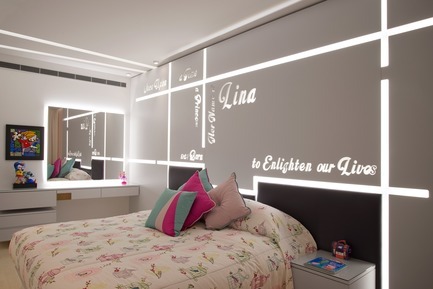 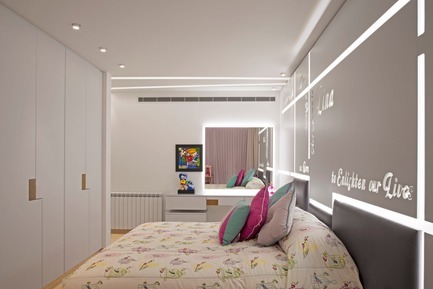 Finally, for the home’s princess, the girl’s room reveals special words telling the story of her birth and blessings. 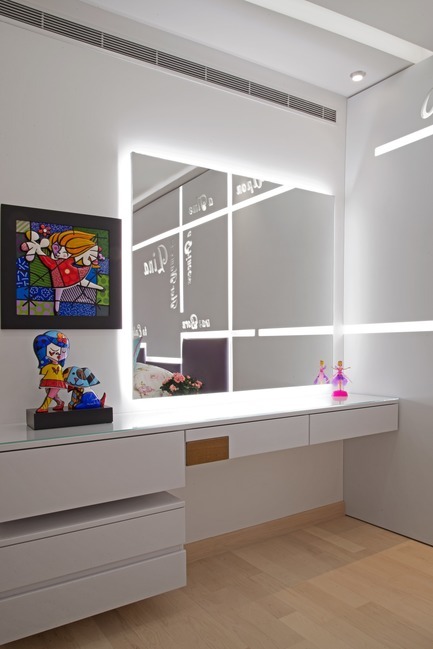 The kids share a bathroom that accommodates them both. 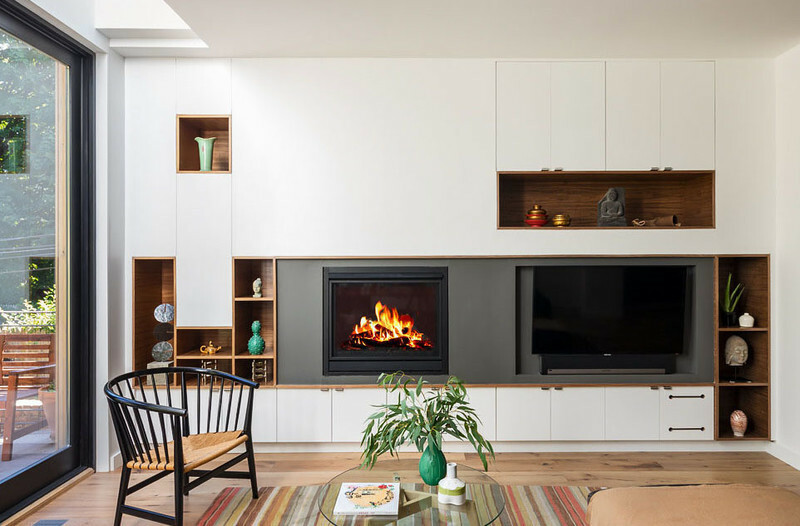 “I believe it is the attention to the details that turns a house into a home. 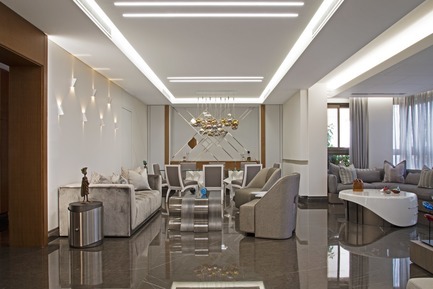 For Cherished Glow we were highly attentive to the client’s needs and taste which is what allowed us to work in the details that created the homey feeling. 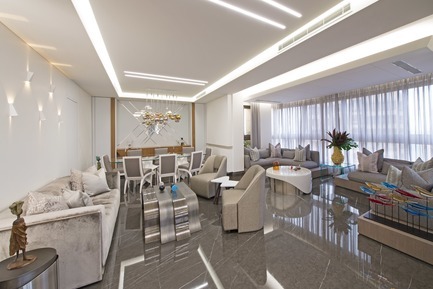 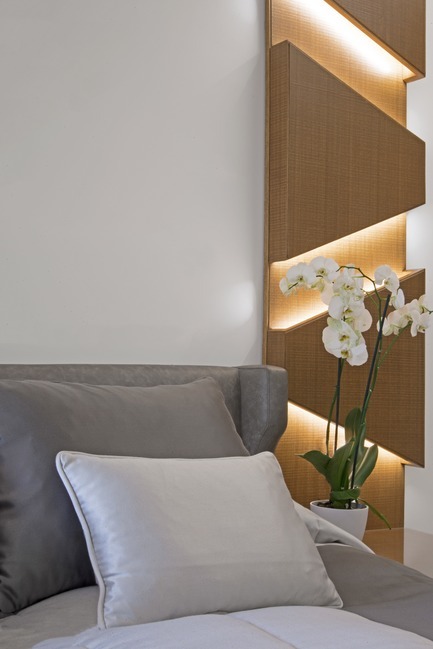 And of course the real “cherished glow” remains the glow on the client’s face once we unveil the project,” concludes Wael Farran, founder and lead designer of Wael Farran Studio. 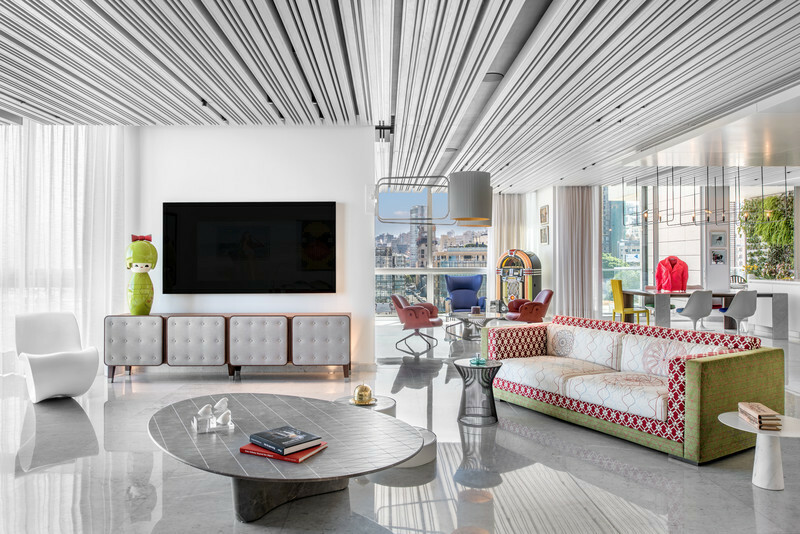 Wael Farran Studio is a Beirut based interior architecture practice and home of Formitable©, a special line of one of a kind tables. 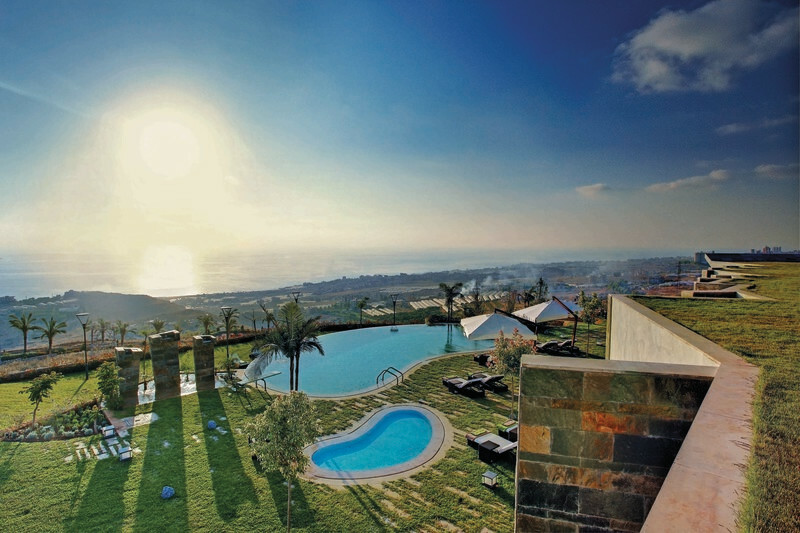 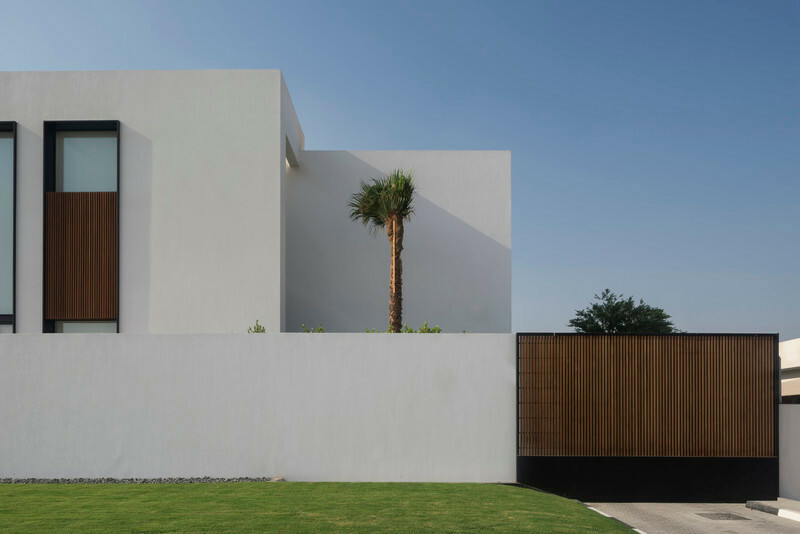 With successful completed residential and commercial projects in Lebanon, Paris, Dakar and Cairo the studio specializes in bespoke homes and refined projects. 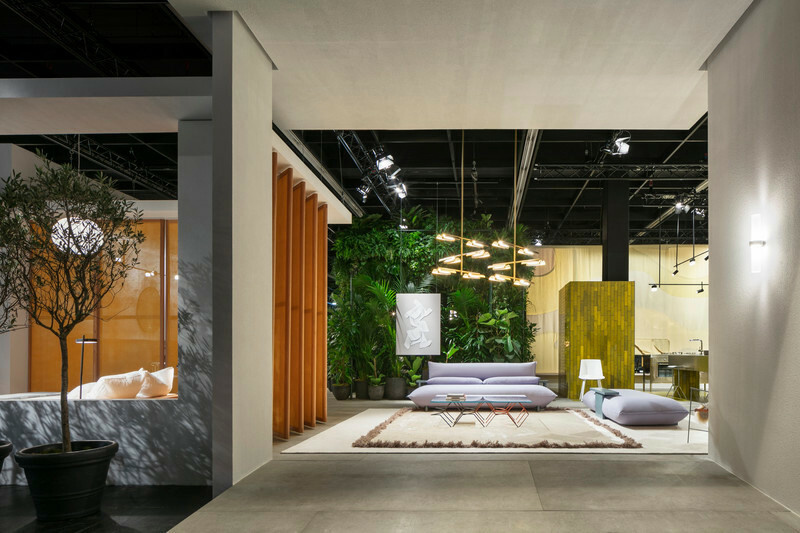 Formitable© is a line of unique tables created with the discerned individual in mind. 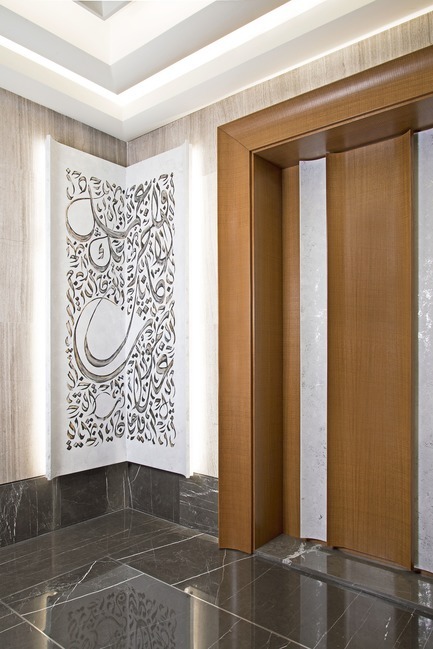 Every piece is an exclusive design and a fusion of materials executed by skilled craftsmen, meant to enhance the space around it.